Continuing from where we left off last week, we are still in Morocco, visiting the factory and having the time of our life, eating more than we thought humanly possible. In case you missed it, we are staying at the breathtakingly beautiful Riad Dar Bensouda. Bring Dar Ben Souda into your home with Tiles of Ezra Zellige squares, from our Moroccan tile range. Click here to see these as well as more Moroccan styles and to learn about the craft that is zellige tile making. 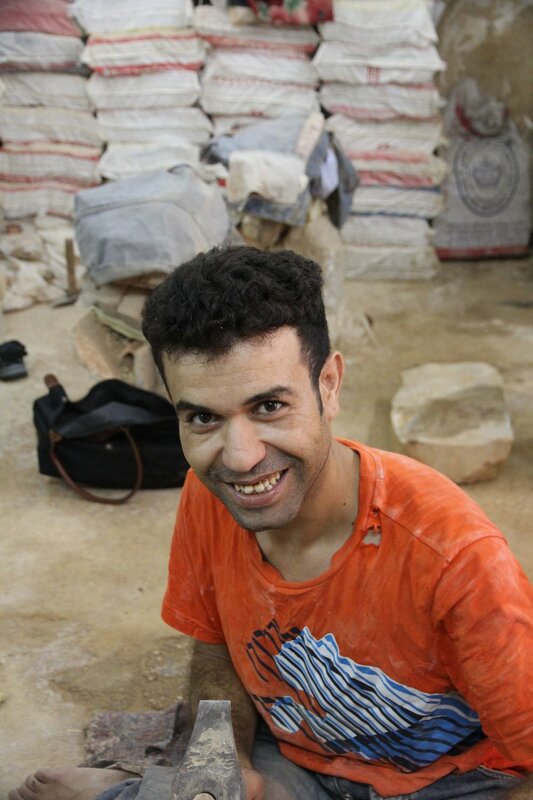 Todays blog, as promised in the video below, is dedicated to the skilled artisans who hand make every part of zellige tiles. It is such a tedious process that requires 100% effort and skill from the legends who make them. So here goes; day three in mesmerising Morocco. Every step and process that goes into the making of zellige tiles is done by hand. From preparing the clay to chipping the shapes that make up intricate mosaic patterns, the guys sustain a skillset that was taught them by their fathers and that was taught to their fathers by there grandfathers etc. They work day in and day out creating the most beautiful and exotic mosaics that we sell to you in Australia and around the world.. The precision, skill, accuracy and time needed to produce these zellige is unprecedented. Seeing the guys in action was inspiring. It's a privilege to be considered "family" by them and in turn, to help them sustain their craft.